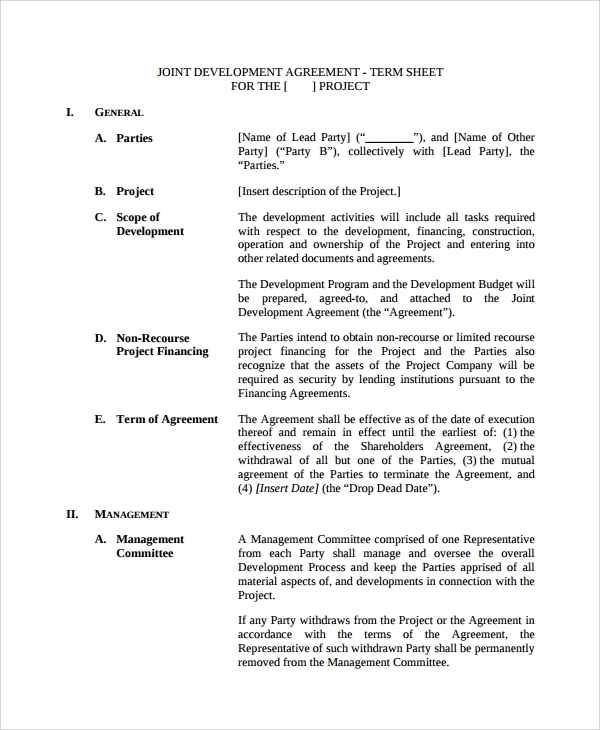 This document has 7 major headings that are general details, management, development team & project manager, project costs, participation and parties in it, remedies and confidential details with their provisions. 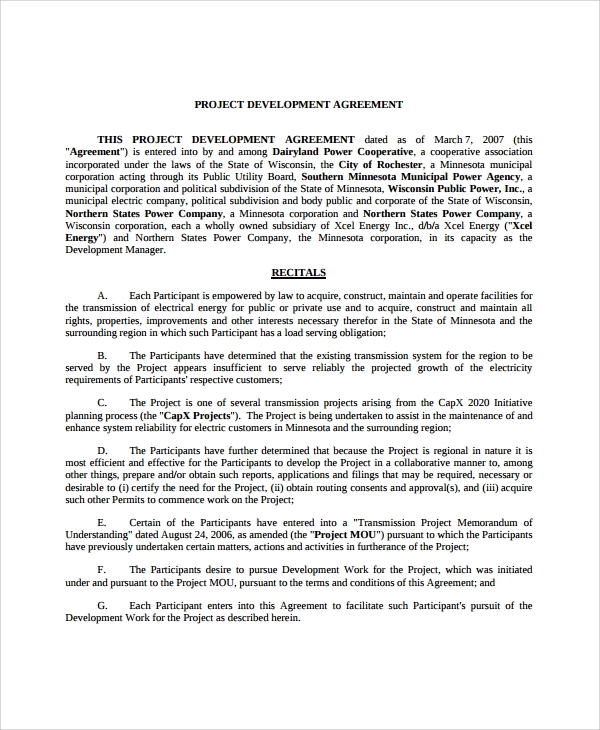 Being joint agreement, the details of both the parties is present on the cover page of the agreement. Such details when signed by the concerned authorities are used as a legal document. Then both the firms are liable to follow those lines and need to abide by them always till the contract ends. 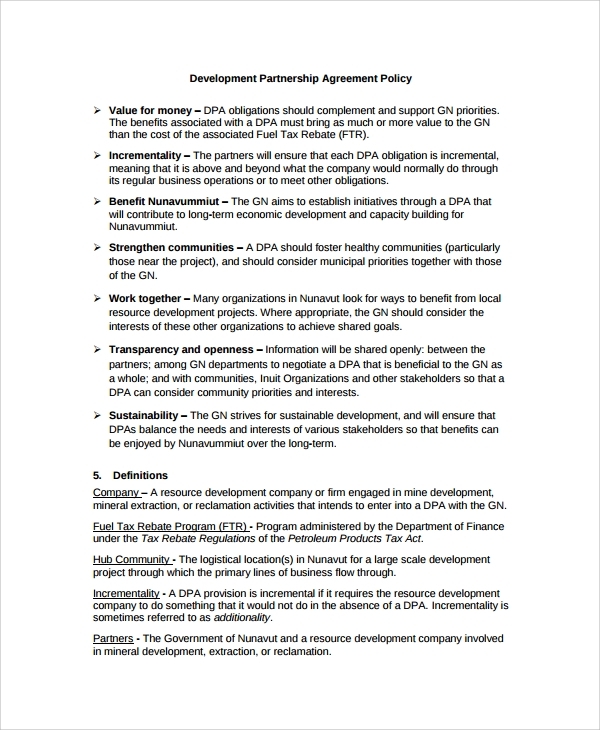 The finance agreement is a constraint to only the finance related details of the project. Such projects are commonly related to infrastructure, oil & gas exploration, sports stadium etc. Such projects are made as long term usage and so mostly after construction, their maintenance cost also needs to be included in it. 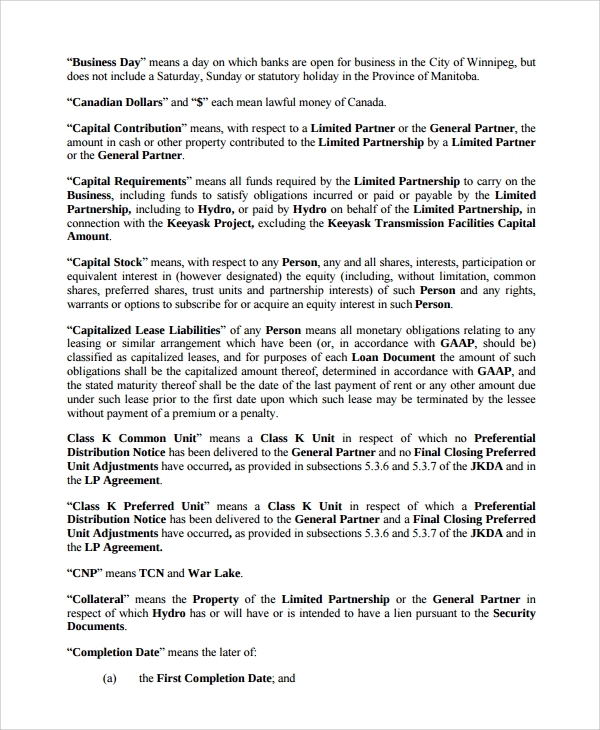 In such agreement other than the project company and the customer there are many other parties involved like lenders, project sponsors, agents, equity investors etc. In such projects a lot of capital is invested and so to track the incoming of such money is most important. All the important persons related to such investments are needed to such agreement with their respective details. 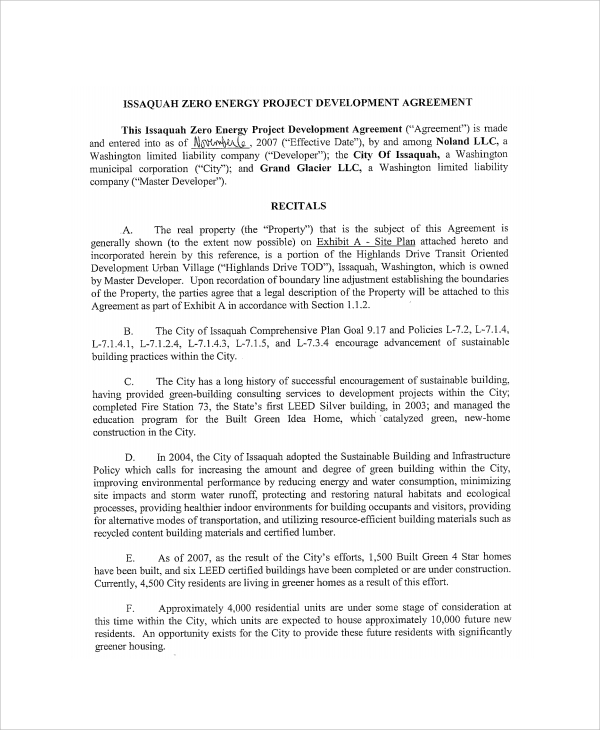 Such projects are either given a contract or on lease and so even those details is a part of this agreement. When any such project is being made, at that time many development companies or contractor works together, helping each other with labour, machines, heavy vehicles and other such commodities. At times the development and maintenance of such projects are given to the same firm. 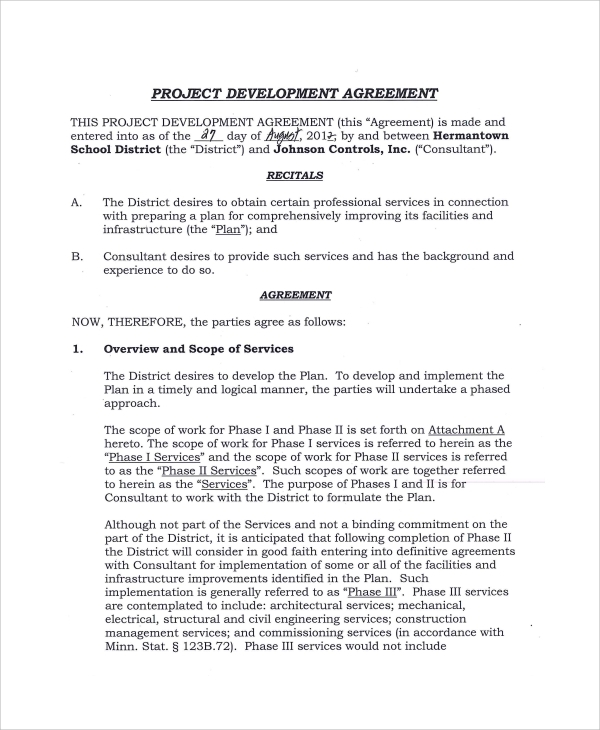 So details of the contractors working together and even the maintenance department are a part of such agreement. The concerned person with his contact details need to sign on such document stating his help in the project. 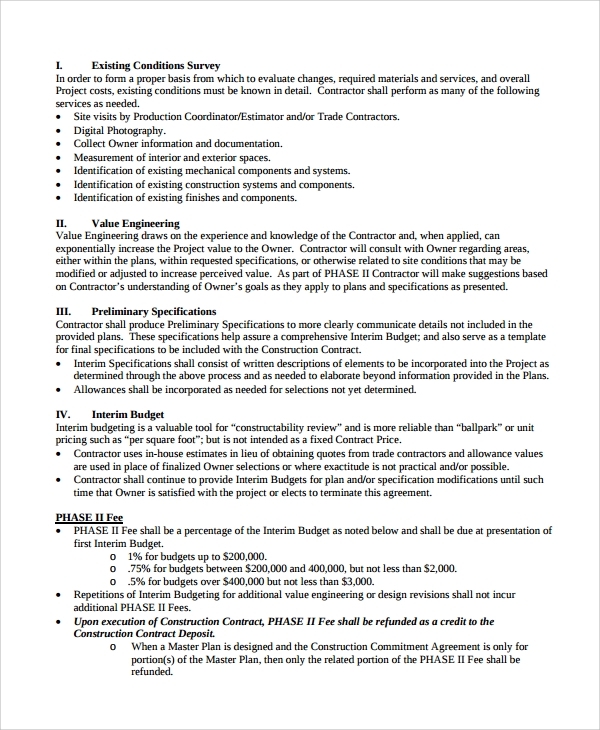 In this document, the work of the developer with the specific work he will be doing is defined in this. 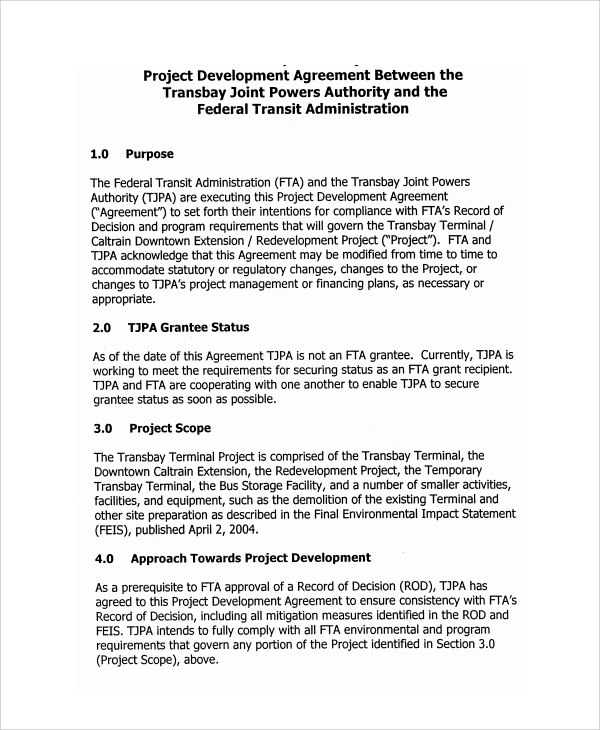 The owner of the plan is the whole and sole in charge of everything related to the project. In case of any delay, he is the one to bear the compensation and losses. He is the one to maintain each and every record of the entire project and in case he is not able to work in the appropriate manner then he can even be removed with or without any reason. 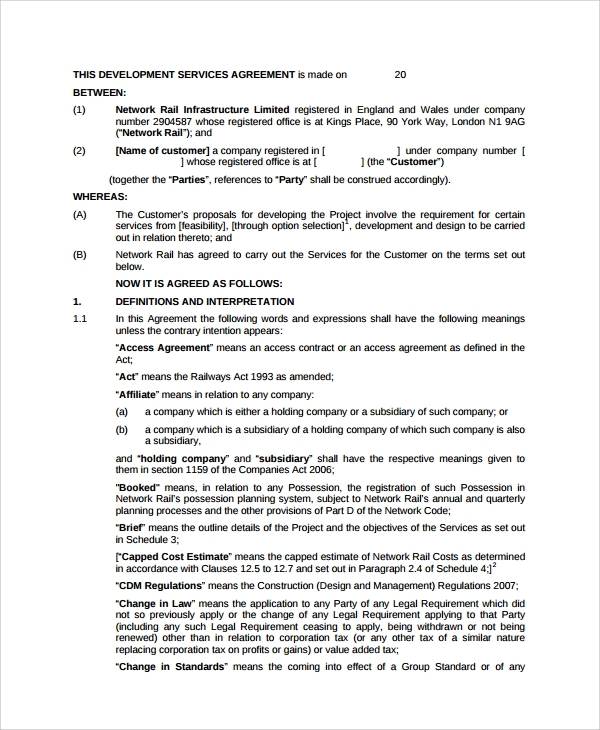 Such detail in specific clauses is signed by the developer and is liable to abide this agreement. The documentation process have simplified the entire system and made the workflow more simplified. 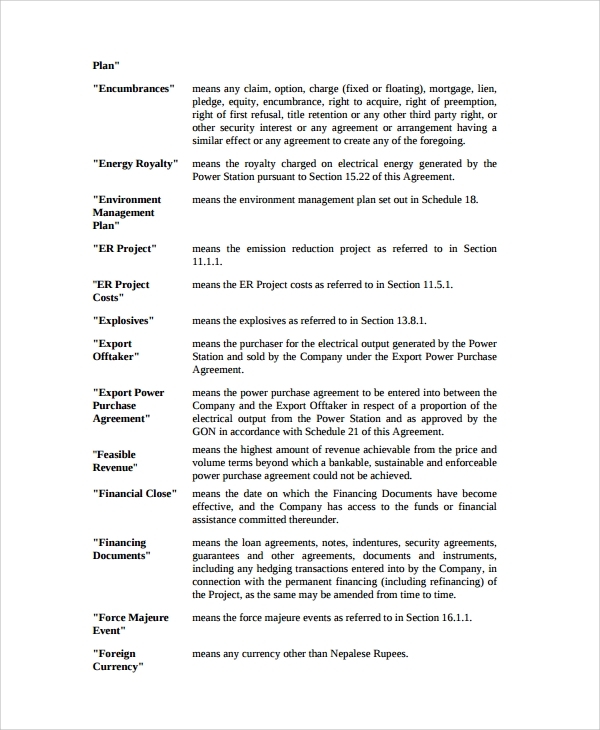 We got all such development projects related documents made by specialists and such documents maybe even made as per the clauses defined by the customer. The delivery will definitely be on time with no errors.